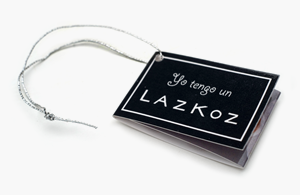 (I have a LAZKOZ) is a set of cups designed to bring my artistic work to everyday use. I have used bone china, a delicate material in line with the essence of my art, and an original design that will make each moment of coffee or tea an even more special delight, if possible. Available in two sizes: Tea – Coffee Latte (20cl) and Espresso (15cl). The Tea – Coffee Latte pack contains 2 cups and the Espresso pack contains 4 cups. Make your own combination. New series are coming soon. *Industrial design and trademark registered by OEPM.